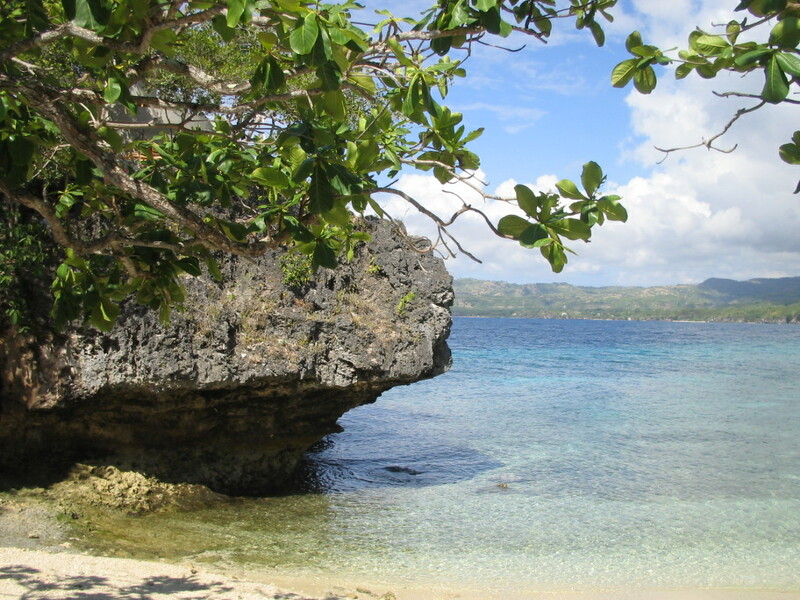 Siquijor is an island province an hour away by fast ferry from Dumaguete. It is the smallest province in the Visayas, and the third smallest in the country. But small is not a good word to describe Siquijor. In my book, the island rates among the country’s bests. It is also called the Island of Fire. No, there are no volcanoes on the island. 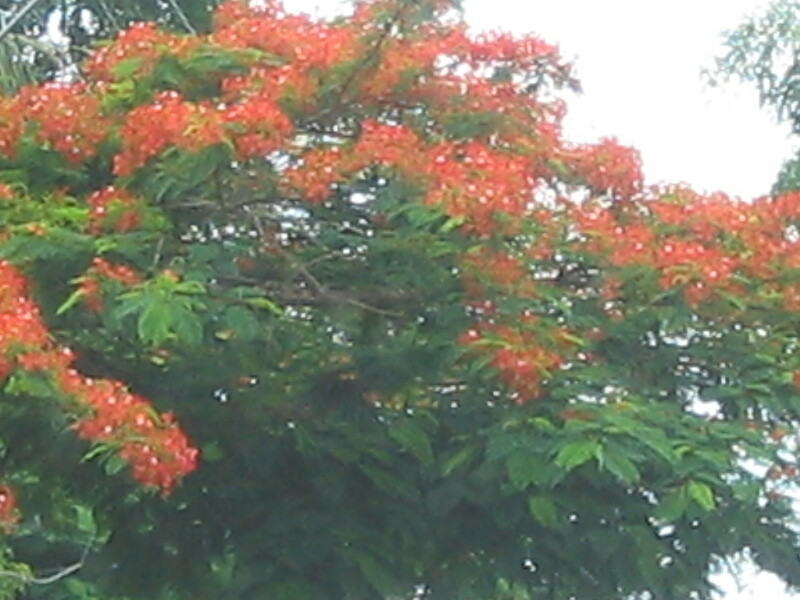 The name is derived from the sight of fire trees dotting the island province. 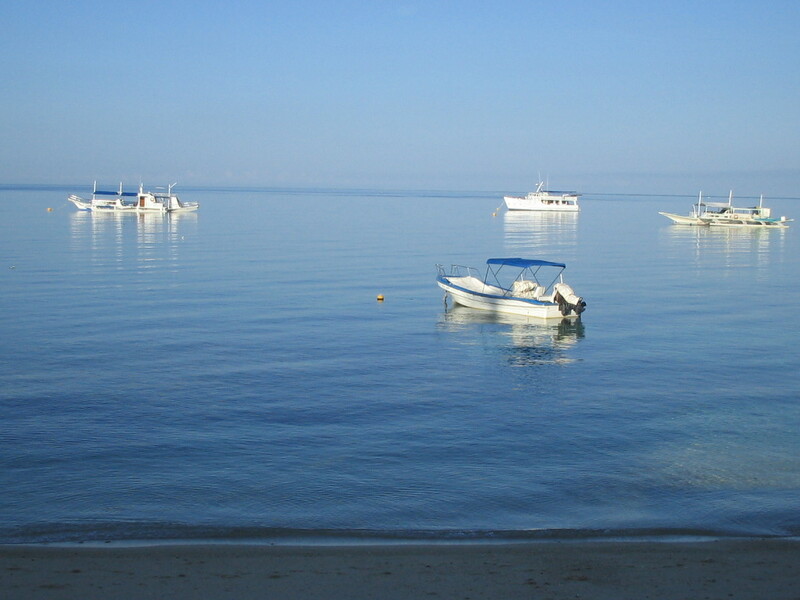 From Dumaguete, the most popular transport is via Delta ferries. The fare is P160 plus a terminal fee of P15. The ferry ride is comfortable, on ferries pretty much like those between Manila and Corregidor, albeit older. 18 rows of seats, 6 seats to a row. Approaching the island, one asks whether the island is indeed inhabited – – no tall structures, no densely populated coastal communities. From the pier, I took a tricycle to San Juan. It is here where the top resorts are clustered. There are numerous resorts beginning right there at the pier, with well defined markets – – from backpackers to the well heeled. 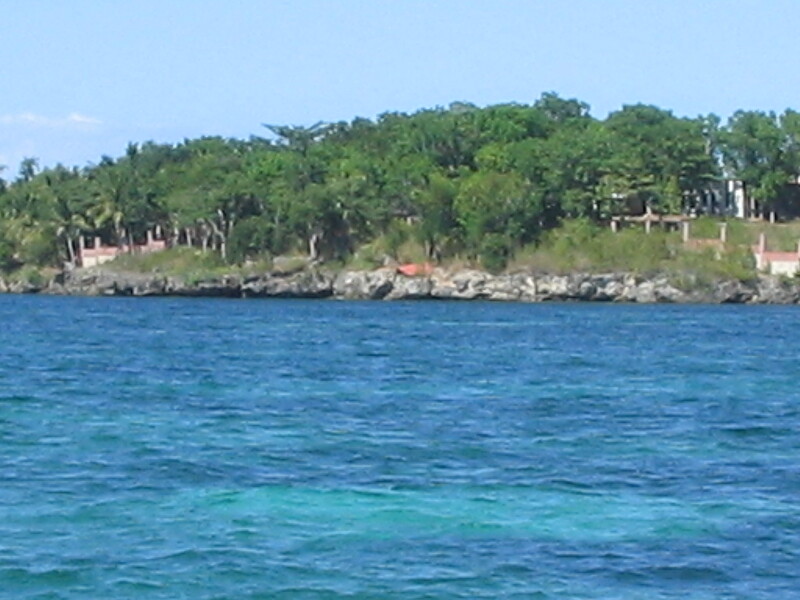 The two most popular are Coco Grove and Coral Cay. The tricycle driver charged me P200 for the ride, although I was told later by the resort staff that the fare should only have been P150. I checked in at Coco Grove Resort, owned by the same owners of Coco Amigos Bar & Restaurant and Coco Grande Hotel, both in Dumaguete. I figured it would be nice, as the friendly staff of my Dumaguete hotel, La Residencia Almar, were unanimous in recommending Coco Grove. One of them is from Siquijor, so I thought he knew what he was talking about. As soon as I stood by the reception area, I knew I was in a first-rate resort. The very welcoming staff even offered for me to see the rooms so I could better decide which one suits my mood for the day. 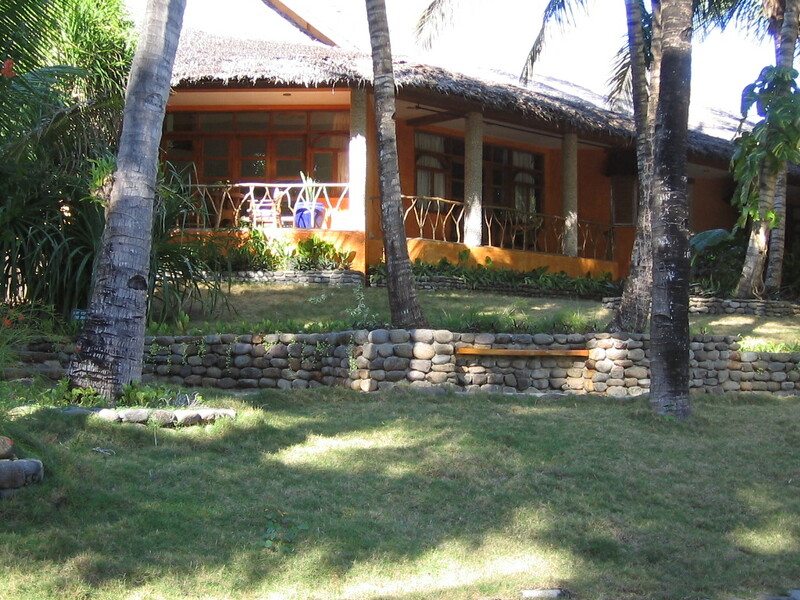 The rooms and villas are spread within the 7-hectare property. I settled for Gardenia II, a de luxe room in a duplex for P2,800 per day, inclusive of a welcome drink and breakfast. Nothing fancy, just a clean, comfortable air-conditioned room with a veranda overlooking the garden. And a well-stocked mini bar. Standard rooms go for P2,400 with Luxury Villas for 4 persons at P8,600. 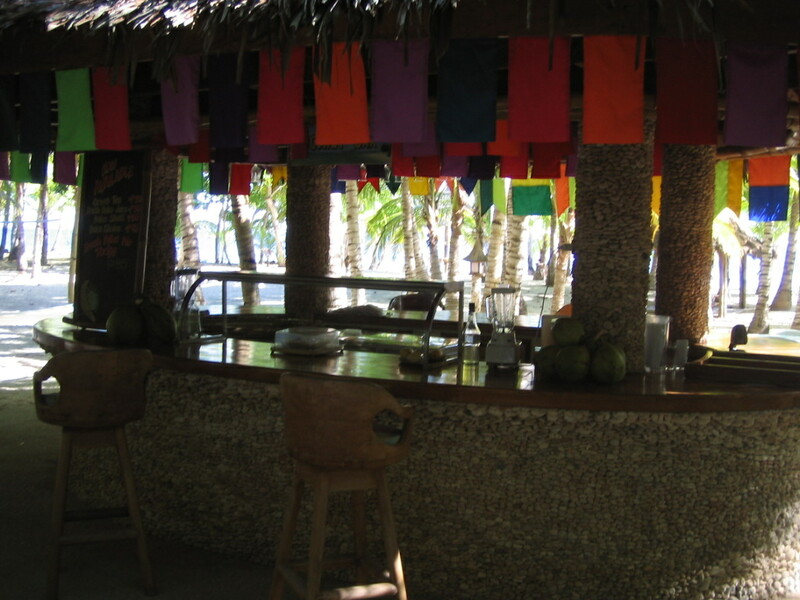 Having dropped my bags, I went out to the Coconut Bar for fresh buco juice. I downed two, after a scoop of vanilla ice cream. I sat there amused that the beautiful girl at the counter can actually hack the sturdy buco herself using a bolo. Her name is Brenda. She said she makes buco shakes, serves buco juice etc everyday so she has mastered the art of cutting the sturdy buco without the juice spilling to the ground. Brenda at the Coconut Bar. Ask for buco pie, too. The resort has 2 swimming pools, 2 restaurants, and bars near the pool and elsewhere. Think of quenching the guests’ thirst within a 7 hectare property. 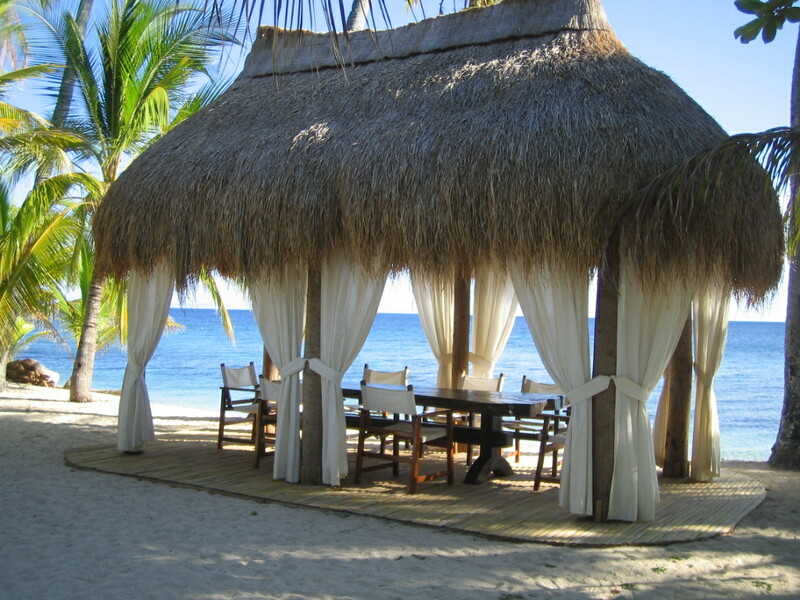 Lovely gazebos dot the beach area. They make a good setting for intimate dinners with the sea breeze as aperitif. The resort also runs a dive shop and a spa. On Saturdays, the resort mounts a cultural presentation near Salamanda’s Restaurant, for hotel guests. Dinner and show is P650. My favorite spot in the resort is the Sunset restaurant. Sitting on the beach chairs on the veranda made of wooden planks, beer on hand, spicy gambas for pulutan, tell me I am on a holiday. The nearby Apo Island, rated one of the best dive spots in the Philippines, is available from the resort on a P1,600 whole day excursion rate per pax with a minimum of 10 people going, inclusive of lunch and snorkeling, and the services of a guide. 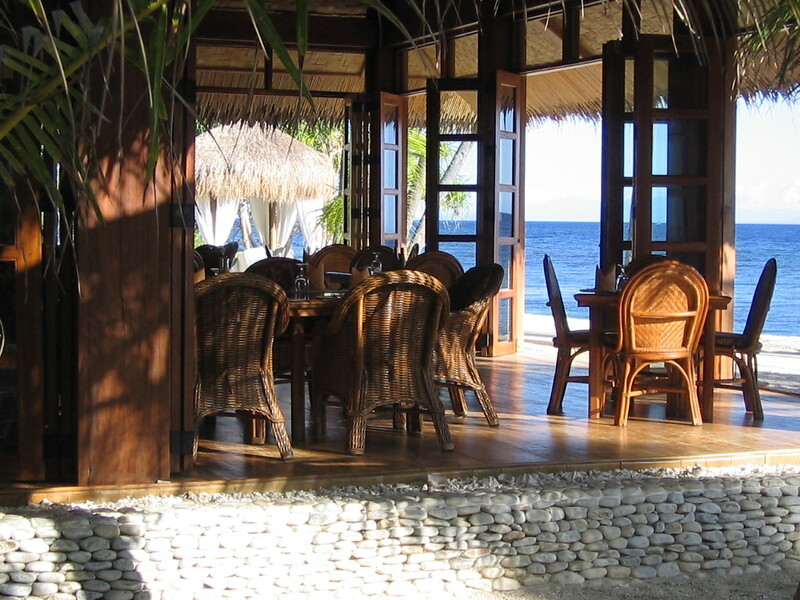 The Apo Island Resort is also owned by Coco Grove. This resort is a nice get-away-from-it-all destination. No internet connection, no Globe nor Smart signal in my room. I go near the water or to Sunset Bar where I can receive text messages and make calls. 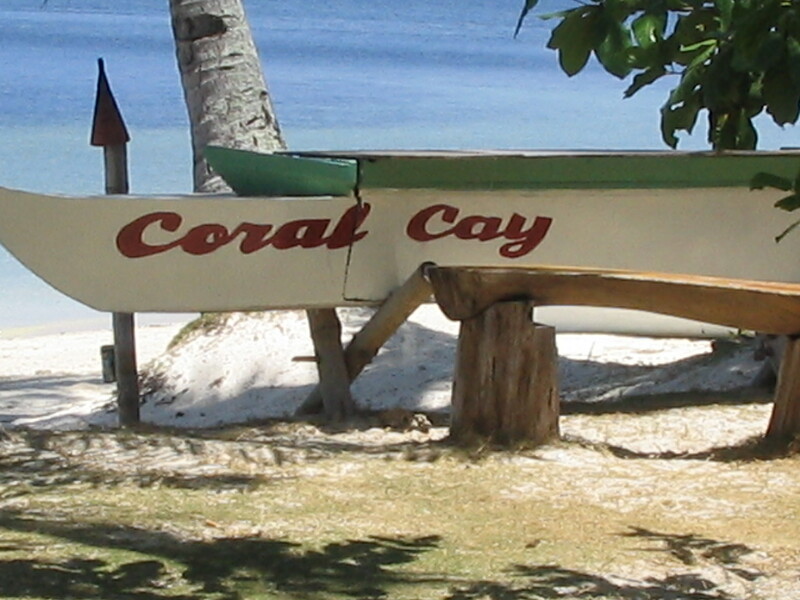 I stayed at Coral Cay on my second night in Siquijor. Just wanted to try the different resorts. The best thing about Coral Cay is that my cottage, called Maanyag 2, is just 5 steps away from the water. The room is nice, the bed comfortable, and a safe deposit box sits in one corner. 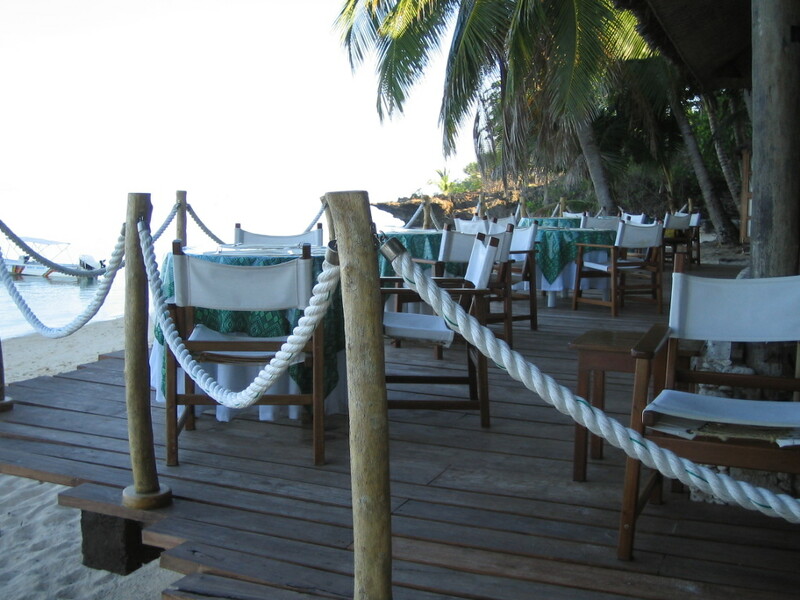 The veranda has bamboo chairs and a bamboo table, plus a bamboo divan. I paid P1,900, breakfast not included. Room rates start at P850 for non-aircon rooms, to P3,400 for the new poolside de luxe room called Malipayon. Because Coral Cay is a bit nearer to town than Coco Grove, I get a clearer signal on my phone, and able to access the internet. Coral Cay is far smaller, even while it has a billiards hall and a mini-spa. 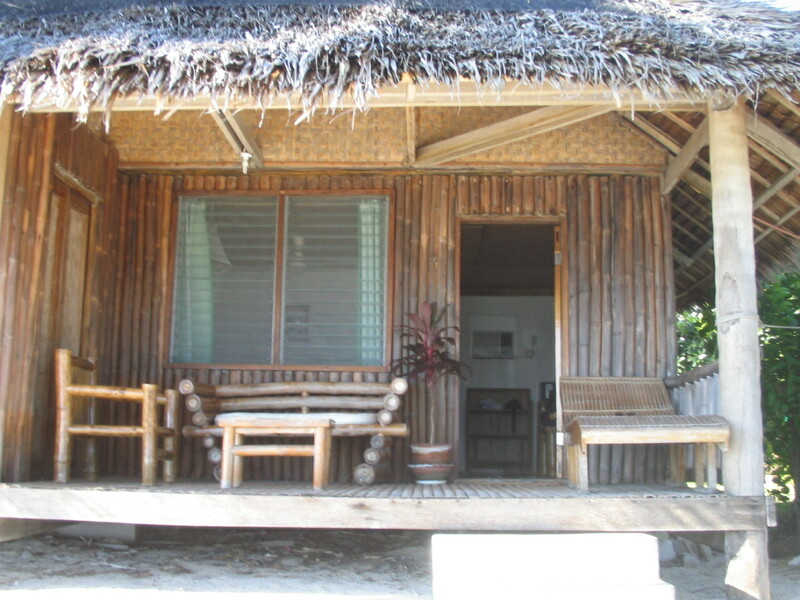 I guess every resort in Siquijor is going to be described as small when compared with Coco Grove anyway. A serious downside is its restaurant that has a very limited menu. Most items on the menu are “plated dishes” and I had to settle for adobo rice for lunch. Filipino breakfast is only a choice between longaniza and dried fish. No corned beef, no “tapsi”. When I asked for brewed coffee , I was told that the coffee that goes with breakfast is instant coffee, and that there is an extra P15 charge if I want brewed coffee instead. I asked for brewed coffee, and requested for Splenda or Equal. Nada, just regular sugar. I even had to ask for milk for my coffee, there was no cream nor milk when my coffee was served.. Sipping my brew, it tasted like it was done yesterday and was just reheated for me. The bad breakfast experience started from the rather late opening of the restaurant. Got there craving for coffee at 6:15 am and was told by the cook that the place was still closed, and will open at 6:30. Then the servers came at 6:45 and I asked for coffee, only to be told this time that the restaurant opens at 7am. I pleaded for just coffee and was politely told that the utensils are still locked up, the resort owner still sleeping. These hiccups aside, I don’t mind going back to Coral Cay. It is cheaper than Coco Grove and visitors need only to scale down expectations. Besides, this is island life. And the whole Siquijor experience more than makes up for snags in resort amenities. And I so liked my room. I rode a habal habal (as the passenger on a single motorbike, riding behind the driver) to go on an island tour. First stop was the biggest tree in Siquijor, a balete in the town of Lazi. Next was the St. Isidore Labradore church and a convent facing it, said to have been built by Spaniards in 1884, and is one of the largest convents in the country. Next stop was Cambogahay Falls, 150 steps down from the main road. It is actually a series of falls, pretty but not majestic. The main falls is just about 20 feet high. The habal habal then took me to the town of Maria where a resort popular among locals is located. The place is called Salagdoong, and the best part is actually the drive thru 1.805 kms of a postcard-pretty road lined with fire trees. The beach operators collect an entrance fee of P15. Most interesting is a promontory, actually a rock formation near the water where workers are rushing several slides and jumping boards from where visitors can drop straight to the clear waters below. There are duplex accommodations at P1,200 per day, booked thru (+63918) 7714714. From Maria, we drove to Larena, the biggest town in the island province. 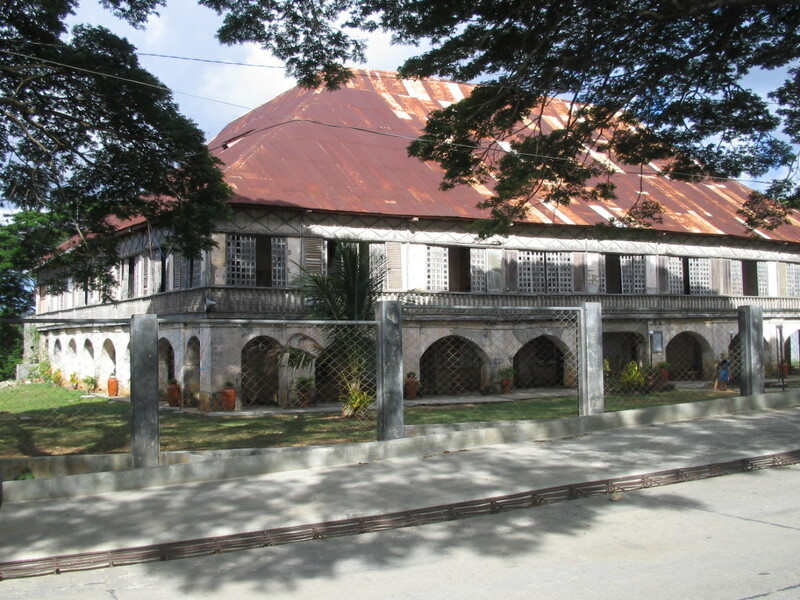 It is bigger and more progressive than the capital town of Siquijor, Siquijor. In the evening, I had dinner and drinks in a bar-restaurant called Breakpoint. The chopsuey was good, and so was the sisig and the calamares. It is hard not to fall in love with this place. Far from the crowd. Clean surroundings. Well paved, asphalted county roads. Friendly people. I am told foreigners freely walk on the streets even at night, and no harm befalls anyone. Long stretches of white sand beaches surrounding the entire island. Crystal clear waters. In fact, I began asking around if there are still absolute beach front properties on the block. Even if I may never get around to actually buying one. 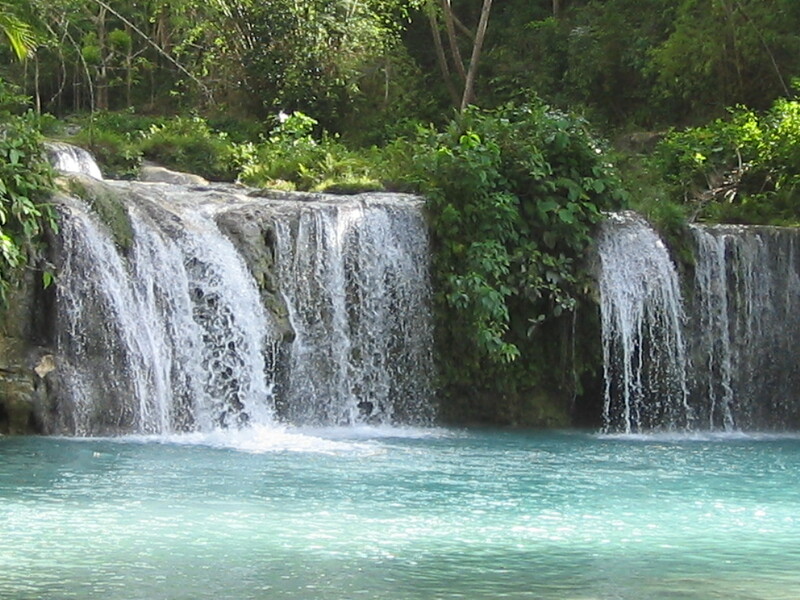 But such is the simple beauty of the Siquijor – – – it will make you think you would want to live there forever.